It’s very windy in Patagonia. 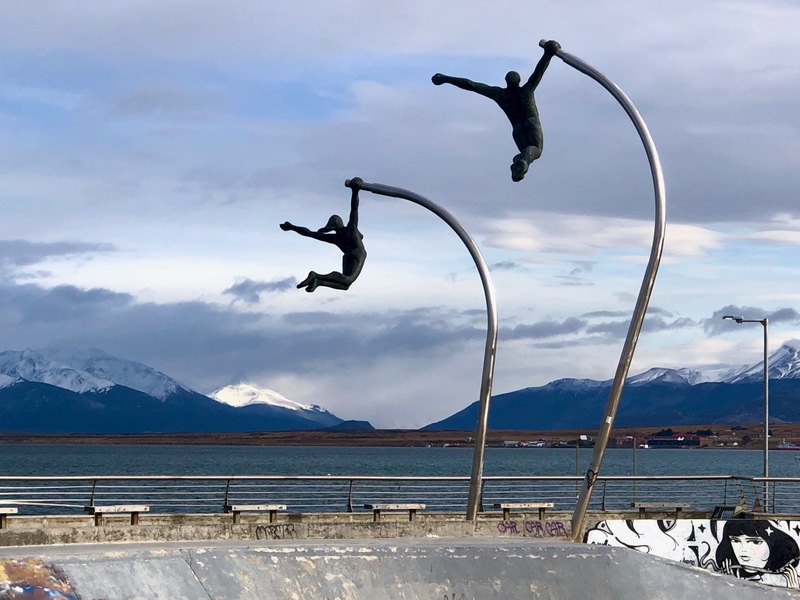 Here’s what happens when you hang from a flag pole in Puerto Natales, Chile. This sculpture is at the skateboard park. Skateboarding and Sport Climbing events will take place in Aomi Urban Sports Venue (Koto city, Tokyo). Posted on July 26, 2016 July 24, 2016 Categories skateboardLeave a comment on flying soldiers?